There will be several ways to stay informed about plans for IAJGS2016 in Seattle. Our website at http://www.iajgs2016.org will be a major source of information. There will, of course, be the IAJGS Conference FaceBook page and the ever popular discussion list. And then, there will be this blog. You should consider subscribing to it. Someone recently asked me to tell her the advantages of a blog over, say, the discussion list, FaceBook or Twitter. They each have their strong points. Probably the biggest advantage of a blog is that anyone may read a blog post without joining a particular website or establishing a password. Think of the blog as you would a website – no membership is required. Compared to discussion list or FaceBook posts, a blog provides a platform for more lengthy and, perhaps, complex information and explanations. Images and videos may be easily included in blog posts. And previous blog posts many be easily searched when you wish to find information or reread some of our pre-conference recommendations or advice. Our goal here is to help you prepare for a great conference. We will keep you informed as plans for the conference coalesce. There will also be posts on research opportunities in the Seattle area as well as tourism and recreational options. Closer to the conference we intend to supply some tutorials on using the conference app and information about speakers, presentations and exhibitors. If you would like to stay up-to-date as we post articles on this blog, we suggest you subscribe to it. When subscribing, one may opt to receive email notifications of new blog posts or use a blog subscription aggregator, such as Feedly. While on the IAJGS conference webpage, click on the News/Blog tab. On the upper right of the page, look for blog subscription options. If you wish to follow this blog, then click on “subscribe via email.” You will then receive notifications when we post new articles. Or if you follow – or plan to follow – several blogs, then an RSS reader (blog aggregator service) might be your best choice. I am an avid blog reader and follow more than 100 blogs via Feedly. 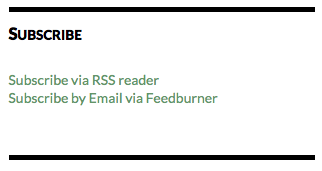 When I click on the Feedly icon that is located at the top of my browser window, I can see which of the blogs to which I subscribe have added content since I last visited. I used to bookmark individual blogs in my browser. No more! 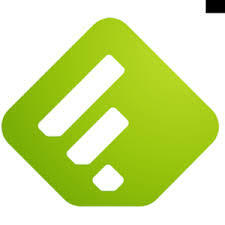 Feedly makes reading blogs a one-stop shop. Thanks for reading! Come back soon.